Stock Picks DMart IPO: Buy or Ignore? DMart IPO: Buy or Ignore? Post IPO Update: Is D-Mart still a good investment at current price? Read here. 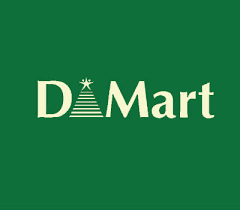 DMart is a retail chain owned by Avenue SuperMarts Ltd. which is promoted by Radha Kishan Damani. RK Damani is one of Dalal Streets legendary value investors. The company had 112 stores in 41 cities as of 15th September, 2016. The state wise revenue breakup is given in the next page. The company’s style is of operating discount stores in sub urban areas. The company takes into consideration many metrics before opening a new store. The company prefers to own the retail space rather than lease or rent them. Retail stores in India have struggled to remain profitable. DMart is one of the few successful names in the sector where the likes of Kishore Biyani and Mukesh Ambani have struggled to remain profitable successfully. India’s retail spend is said to be $616 Billion. DMart operates in nine states and it plans to stick to these states for expansion. These nine states account for 65% of India’s retail spend. The company is growing at a CAGR of 35%+ with it's margins expanding and profits growing faster than sales. The company enjoys significant pricing power and is able to convert it's profits into cash. Usually companies compromise on profits, margins and cash flows when growing at such a fast rate every year. DMart owns most of the real estate and plans to continue this model of operations which will keep costs low in the long run and increase the book value when real estate prices go up. But the IPO comes at a P/E level of 46 which is very expensive for a company whose net profit margin is just 3.7%. This leaves no margin for safety. However, no IPO in this market will come at a PE of 15 or 20. So should you apply for the IPO? Subscribe to our equity advisory services and get access to cutting edge research reports backed by solid research and analysis. The above article is an extract from our report sent to our clients.